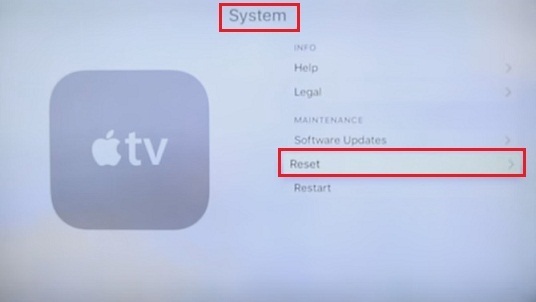 Get guide on reset forgot restrictions passcode on Apple TV 4. The Apple tech-giant is an in-vogue brand to gives privacy protected features on its every device, doesn’t matter either it’s to be iPhone/iPad, Apple Watch or it’s to be MacBook or Apple TV. One of the strong privacy features is an age level control (Restrictions). While you apply and set up four-digit restrictions on your Apple TV, it makes block some services and functions of your Apple TV. 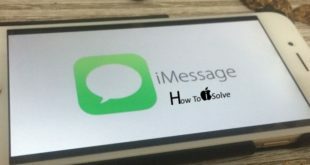 But we know that sometimes the person may not trying to change Parental passcode or don’t try to go on that screen for a long time, ultimately they don’t remember parental controls passcode. Without restrictions passcode, you cannot enter to make even a single change. At that point, people most like Google is a smart option for resolving it. Have you similar issue and looking for reset forgot restrictions passcode on Apple TV 4. Let’s starts to follow below steps correctly and make fixed. You don’t need an internet connection to reset your Apple TV. Step 5. So now, you will see on your TV screen, there are three options Reset All Settings, Restore and Cancel. You must go with the first option that’s a Reset All Settings because you forgot your Apple TV Parental passcode. Therefore, you’re not to be able to make changes and manage parental controls on your new Apple TV. 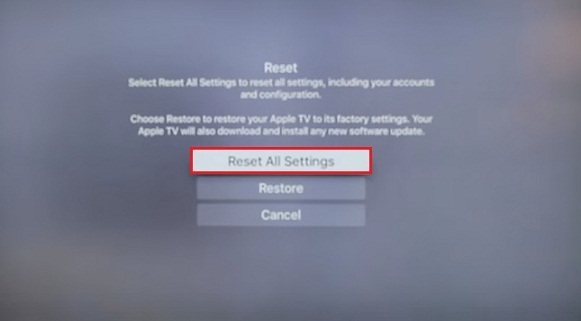 In this case, you need Reset All Settings to go back factory settings Apple TV. So go on next step. Step 6. Choose Reset All Settings. Note: Above steps will reset settings Including your accounts, apps, and configuration. The reset or restore process might take some time. So please Keep your Apple TV plugged into power until it’s complete. 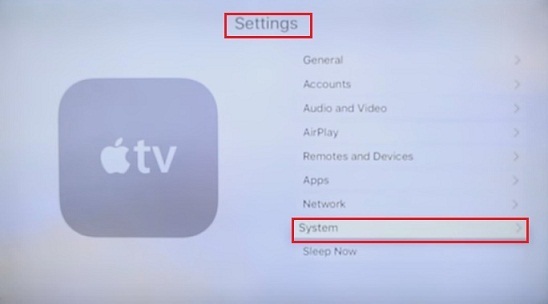 Now go again to Apple TV – system – settings – Reset – Restore. Don’t worry; you can download your previously purchased apps again, from tvOS app store for that you need to go, TV App store – select purchased. Tell us how seems a way to reset forgot restrictions passcode on Apple TV 4K or Apple TV 4th Generation. You have a beautiful option below on page as a comment box to share your feedback.